Breezaire wall mounted wine cellar cooling units can vent interior or exterior. Manual or electronic controls, and room size up to 2000 cubic feet. No WALL MOUNTING AVAILABLE? The Breezaire split systems will work with spaces up to 1000 cubic feet. The WKL digital series cooling unit is equipped with the affordable Sentry III control system. Also has power surge protector and system auto shut down if overheating. Units up to 2000 cubic feet. Installed in a hole in the wall. WKL are the most popular Breezaire Cooling Units! The Breezaire WKC/WKCE Compact Series wine cellar cooling units are a smaller sized cooling unit that blows the cold air out the bottom, the air flow direction makes them ideal to be installed in cabinets or narrow width spaces. When cutting a hole in the wall is not possible, this split design wine cellar cooler will provide the flexibility needed to create an ideal installation or deal with unusual site problems. Breezaire WKSL Split Series wine cellar cooling units allow mounting of the cooling (evaporator) in the cellar area and the exhausting (condenser) outside the cellar as far as 50 feet away. Looking for a cooling unit that’s easy to install? Rosehill offers a variety of Breezaire wine cellar cooling units that are self-contained, allowing them to be mounted simply in a wall. Equipped with a very affordable digital control system, Breezaire cooling units also allows the flexibility of mounting the evaporator and condenser exhaust separately from one another, inside and outside of the wine cellar. The greatest aspect of this feature is that the digital readout system of the cooling unit can be used outside of the wine cellar as well. Breezaire wine cellar cooling units offer a cost effective wine storage solution. Whether WKL, WKE, Compact or Split, each Breezaire wine cooling unit line allows the option to vent interior or exterior, while being controlled by electronic or manual controls; thereby keeping your wine in ideal climate conditions. 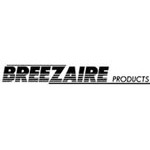 Breezaire Wine Cellar Cooling Units are available for shipping within the United States of America (USA) and Canada.